Tooth Fairy Initial Keyring - Charm Style, Personalised Gift Idea. Themed Charm Keyring featuring an Initial Charm. Initial Keyring - Five Charm Style, different charms and bead colours to choose from. Beautiful Personalised Gift Idea. 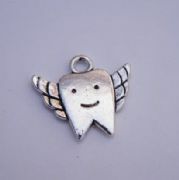 Tooth Fairy Keyring - Charm Style. Lovely Charm Keyring Gift Idea. Double Charm Keyrings featuring your choice of Two charms. Fun Gift Idea. 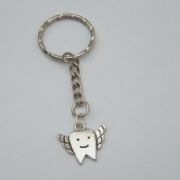 Tooth Fairy Keyring - Triple Charm Style, featuring your choice of Three charms. Lovely Unique Gift Idea. Personalised Keyrings available in different colours, featuring your choice of four charms. Lovely Personalised Gift Idea. Tooth Fairy Symbol Keyrings - Beaded Style, available in different colours. Lovely Charm Keyring Gift Idea. Tooth Fairy Symbol Keyrings - Sparkle & Bling Style, available in different colours. Beautiful Charm Keyring Gift Idea. Tooth Fairy Symbol Personalised Keyring available in different colours. Lovely Personalised Gift Idea featuring a Name, Word, Date or Short Message.